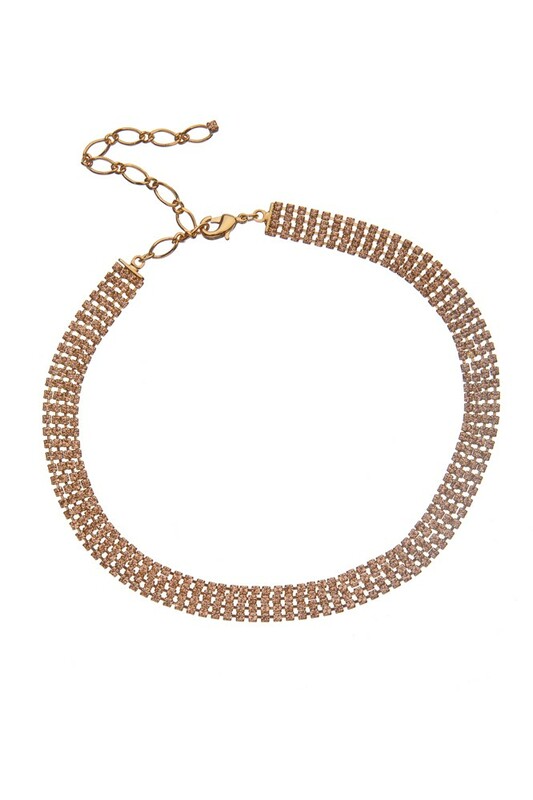 Strass choker 4-row. Golden light peach. Lenght 25,5 cm plus 8 cm adjustable chain. Acid gold plating.